Have you heard of an Elephant Bird? Yes, it sure did exist once. Don't believe us? Come find out about it for yourselves. International Literacy Day is today, 8th September. 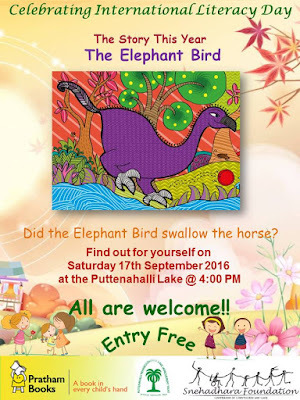 However, PNLIT will be celebrating it on 17th September, with "The Elephant Bird" chosen for this year's 'One Day One Story' campaign by Pratham Books. This story, about a magical bird and a brave child, is written by Arefa Tehsin, illustrated by Sonal Goyal and Sumit Sakhuja, and published by Pratham Books. 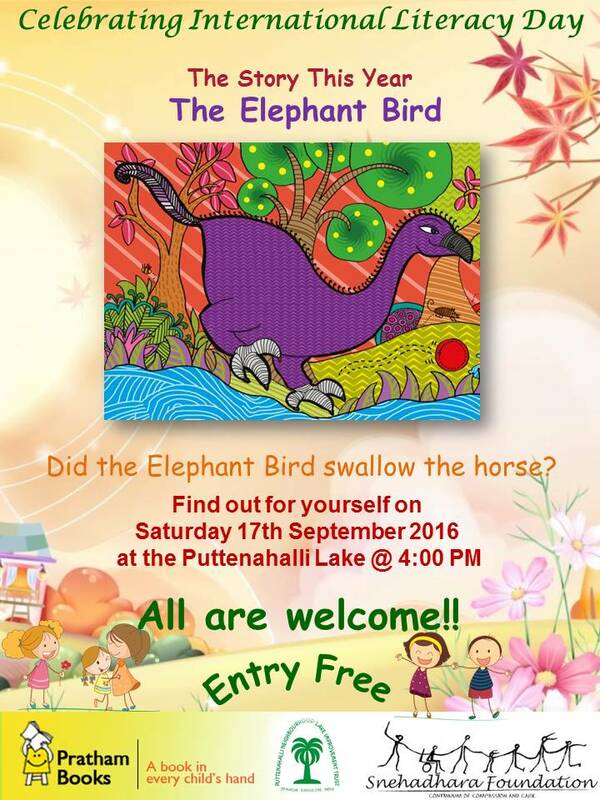 We will have the wonderful team from Snehadhara Foundation with us to sing, dance and narrate the touching story of "The Elephant Bird". When: Saturday 17th September 2016 @ 4:00 p.m.